I received this book for free from the author. This book was sent to me through Bostick Communications. I was sent a copy of this book in exchange for an honest review. Synopsis: All guests can interact with real vampires in Vampire Village, be chased by actual werewolves on the River Run and walk among the dead in Zombieville. Wyatt, Melvin and Howard, three unpopular high school friends are stuck in Copper Valley, California. Nerdy Howard Drucker is oblivious to social cues, Melvin is an oddball outcast and Wyatt is in love with the unattainable Jade - the most popular girl in school. Due to a fortuitous circumstance, they are invited to the star-studded opening of monsterland. In a theme park full of real vampires, werewolves and zombies, what could possibly go wrong? Review: I would like to thank the author, Michael Phillip Cash, for giving me the chance to read another of his amazing books. Previously, I have read two other books by Michael Phillip Cash and they just blew me away with the amazing storylines and how they kept me hooked on the book so when I came to this one I had high hopes for how much I would love this book. After reading other books by this author, I was very excited to jump into this book. The anticipation for this book mounted with every moment and I have to say that this book did not disappoint. The anticipation for this book was definitely justified as this book was absolutely amazing and it was worth every minute that I spent reading this book. I found it easy to get into this book and then just could not bring myself to put this book down. This is a gripping book that I would recommend to anyone interested in trying out a new author and come out their book comfort zone. This book is worth reading for those who enjoy or favour young adult and fictional stories. 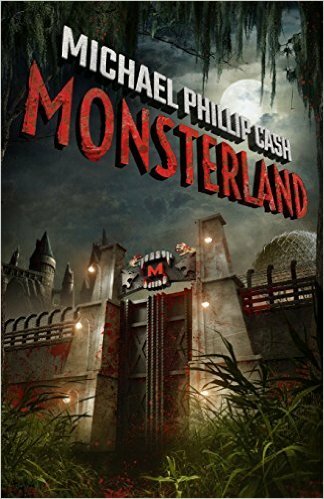 This book will remain in my book collection forever and Michael Phillip Cash will always be an auto-buy author for me in the future. I loved these books so much that I need to have all of Michael's books in my life and on my shelves.